Do you love meat? That’s the star of the show, especially during buffets. 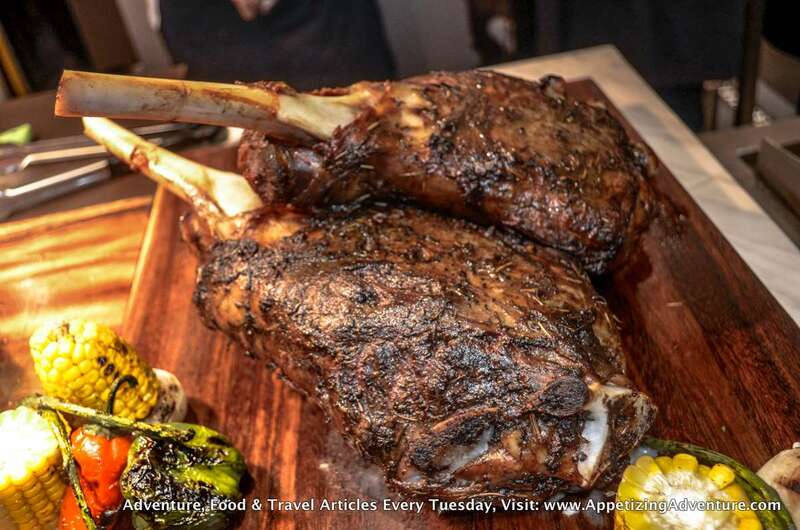 From all the Vikings Restaurants I’ve been to, the Vikings Jazz Mall in Makati has the best carving station that fulfills every carnivore’s dream. 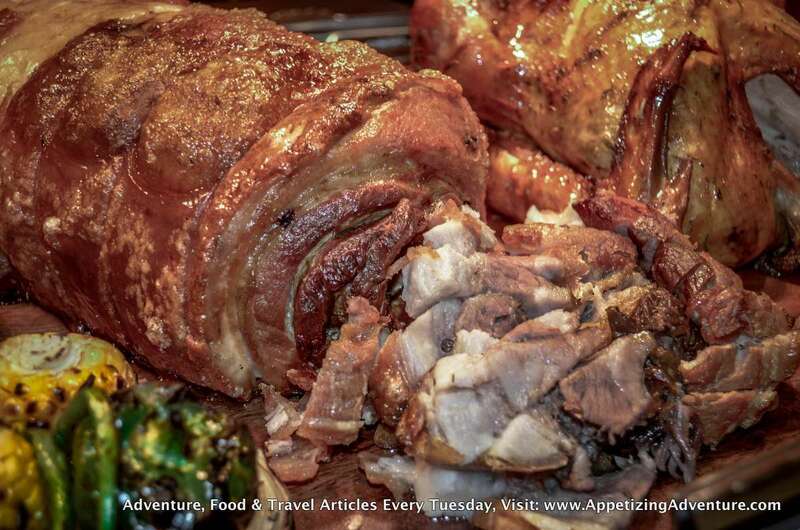 Every time I go to buffets, my first stop is always the carving station. That’s the make or break. 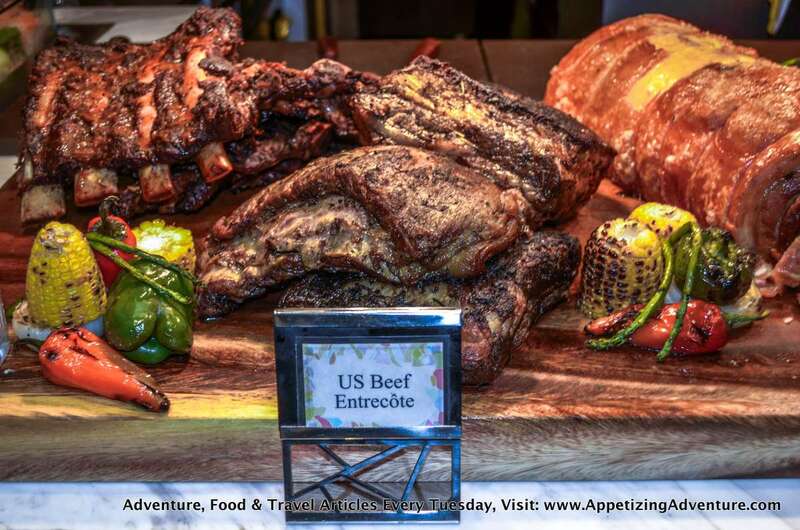 At Vikings Jazz Mall, my favorite is their US Beef Entrecote. That’s premium steak cut from the rib area. It’s so tender and oozing with goodness. 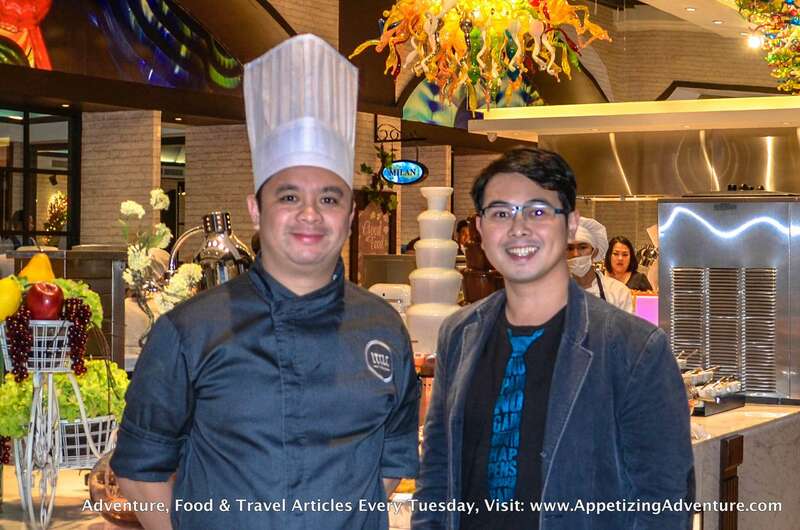 I had to ask their executive chef, Chef Anton Abad, why the steak here is so delicious. I mean, don’t get me wrong, the steaks in other Vikings Restaurants are okay, but the best they have is here in Jazz Mall. 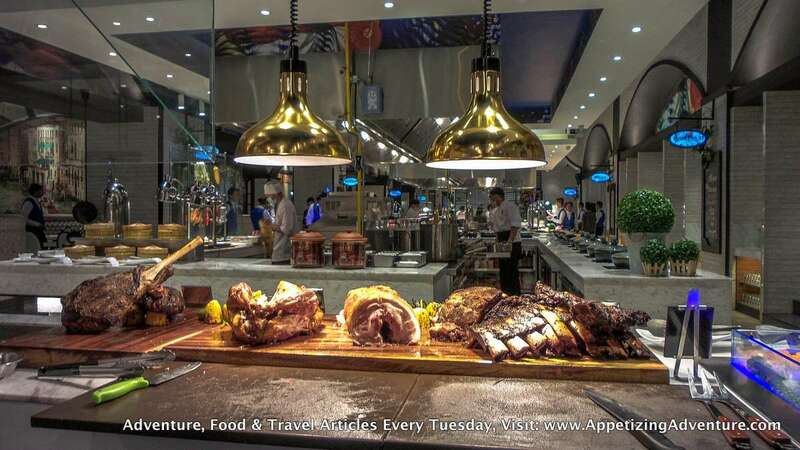 Chef Anton said they slow-roast the beef for 18 hours. Whoa! That’s a lot of effort put into this steak! No wonder it’s this good. 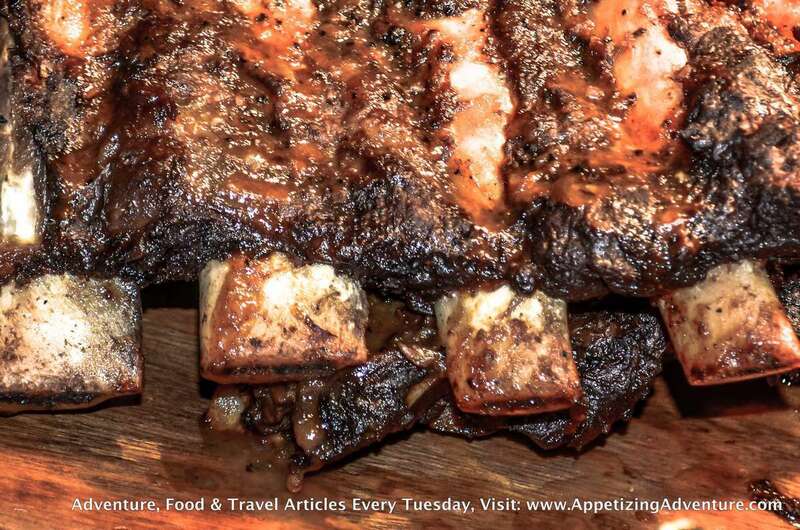 I also enjoyed having slices of their fall-off-the-bone Beef Ribs, their crunchy and spicy Belly-Chon, and their New Zealand Garlic and Rosemary-Studded Leg of Lamb. 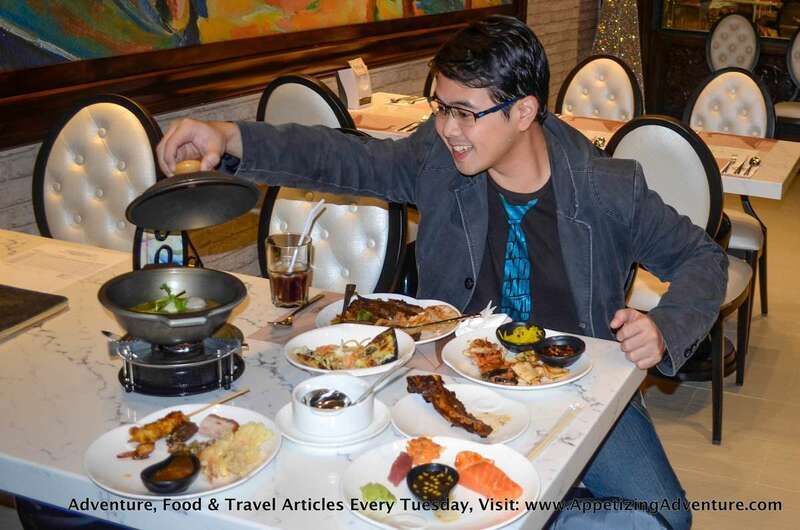 Another feature of this branch that sets it apart from other Vikings Restaurants is the Filipino section. 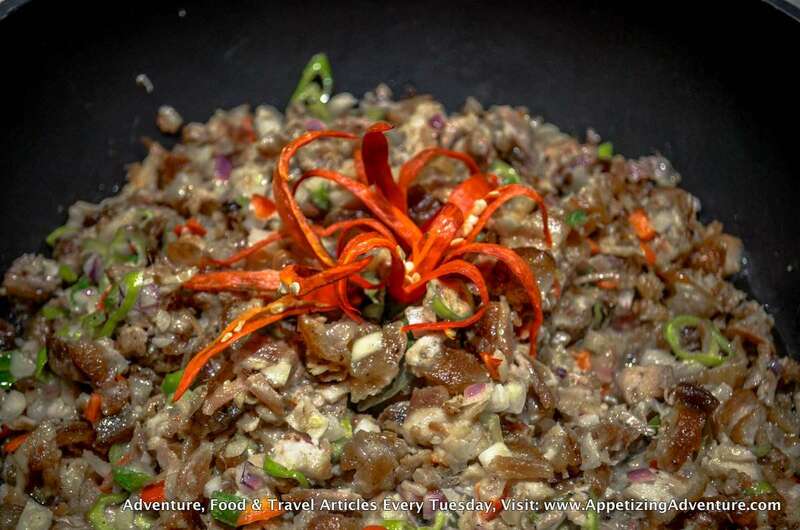 Chef Anton put different twists to the tradition Pinoy fare. 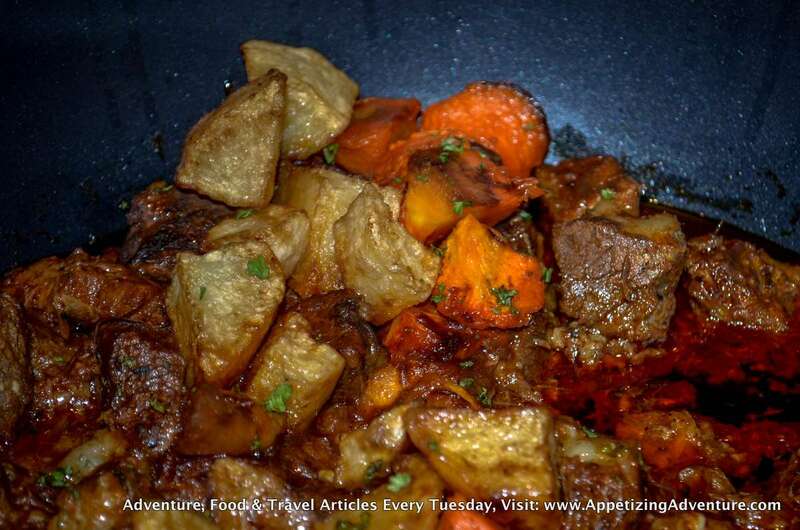 “In one dish we combined two different ways of cooking. 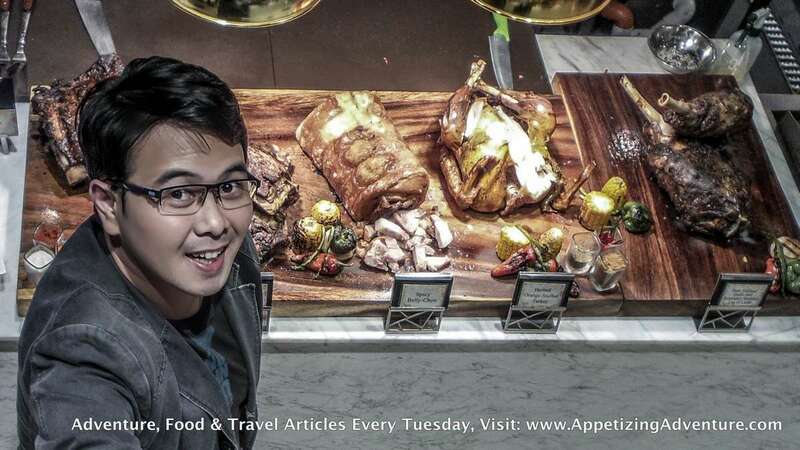 Like the Chicken Inasal with Adobo Reduction Sauce and Salted Egg Relish, the Kare-Kare with Crispy Pata, for our Sisig we use Bagnet, and we also have Corned Beef with Mechado Sauce,” he said. The awesome food here is complemented by their classy ambiance. I love the high ceiling. The place is big and interesting. 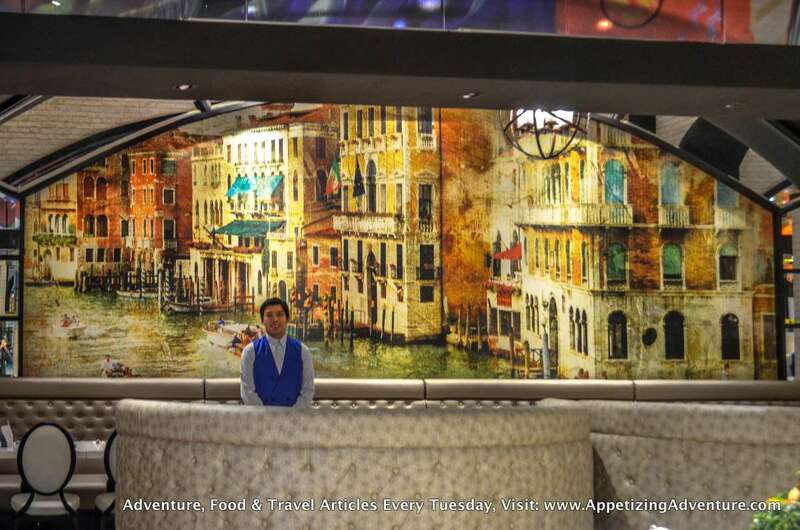 There are paintings that give you a feel of Venice. 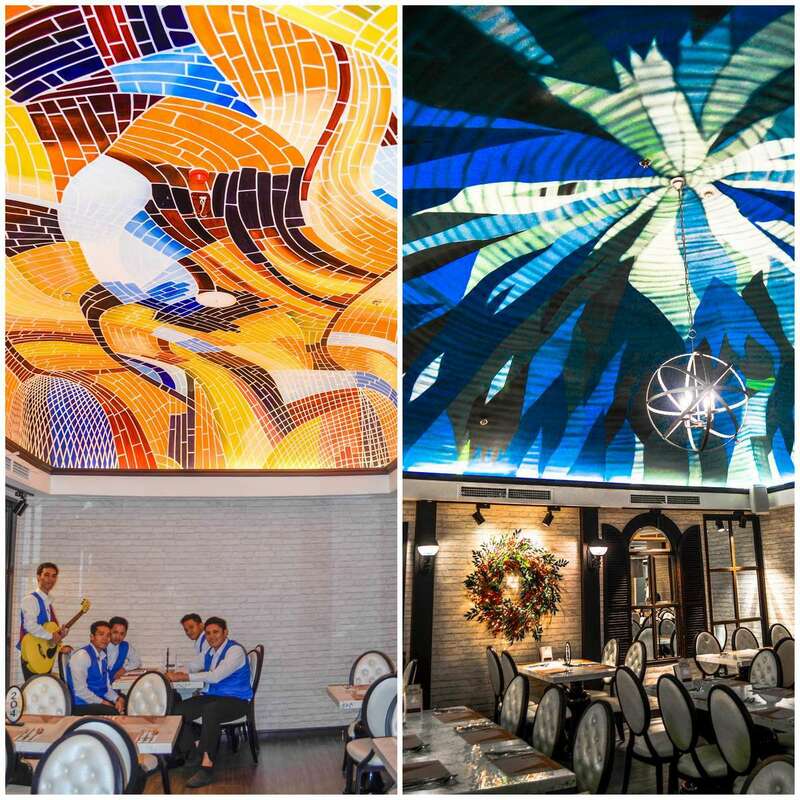 And when you look up, you’ll see that every function room has a different ceiling design. 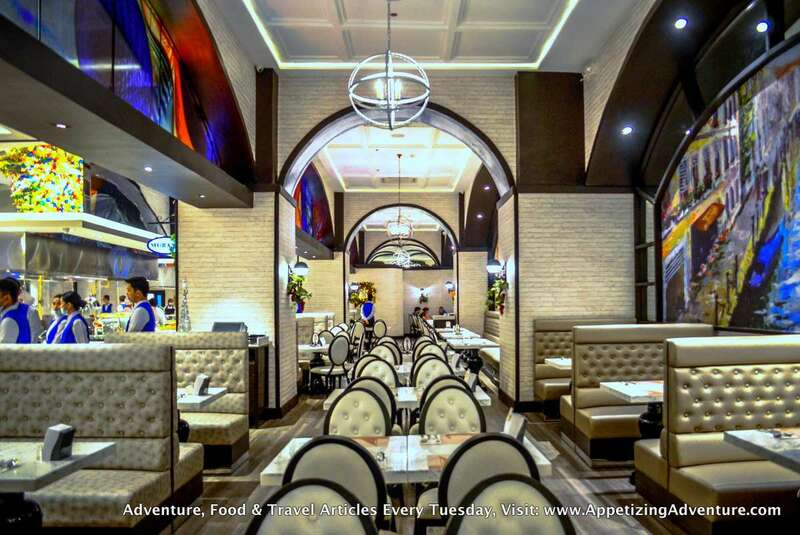 Charles Stewart Lee, Vikings marketing head, said their Makati branch has a European theme with Romanesque architecture that shows the semi-circular arches and columns in the interior. Their chandelier stands out because it’s in contrast with the predominant white background. “It’s right in the middle of the restaurant that’s customized that can’t be bought anywhere. 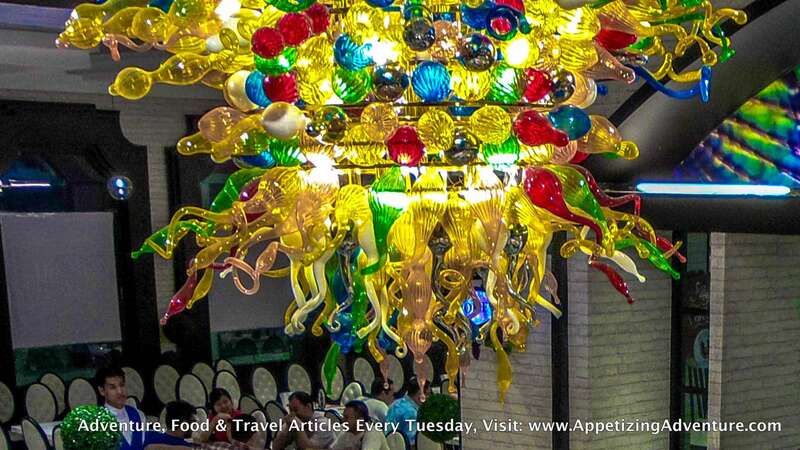 We thought it would be nice to have something that would pop-out from the very white interior, it’s nice to have something contrasting against that, so we thought why not a very colorful chandelier. 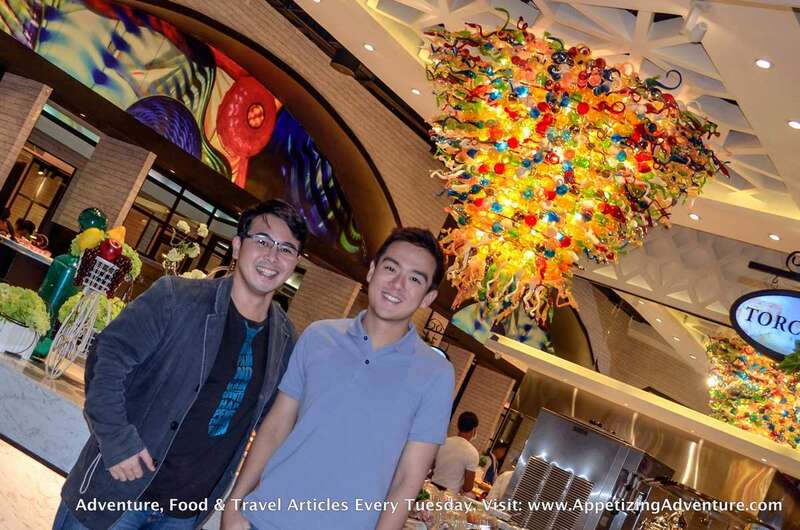 It’s right by the door, so when you pass by, the first thing you’ll see is the chandelier,” Charles said. 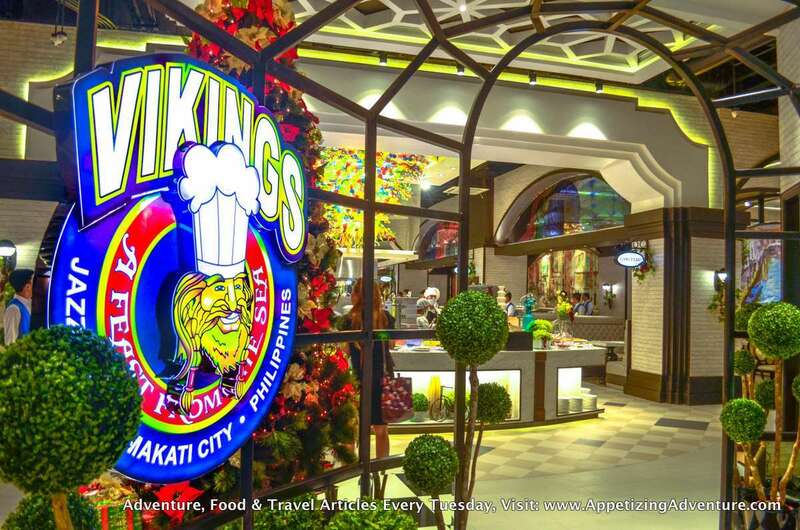 Vikings Jazz Mall is the only Vikings branch in Makati. If you plan to eat here, let me give you some tips. 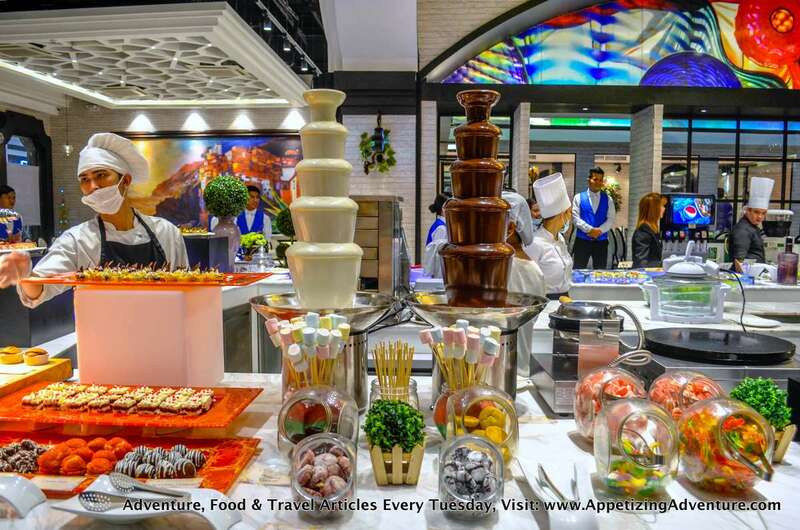 First, get a very small portion of everything, just to taste the different food items. Then go back again to the different stations to get what you prefer based on what you’ve tasted. Make sure you don’t get a lot on your plate; you can always go back for more. If you get a lot on your plate, you might take more time consuming them and time matters. Why? 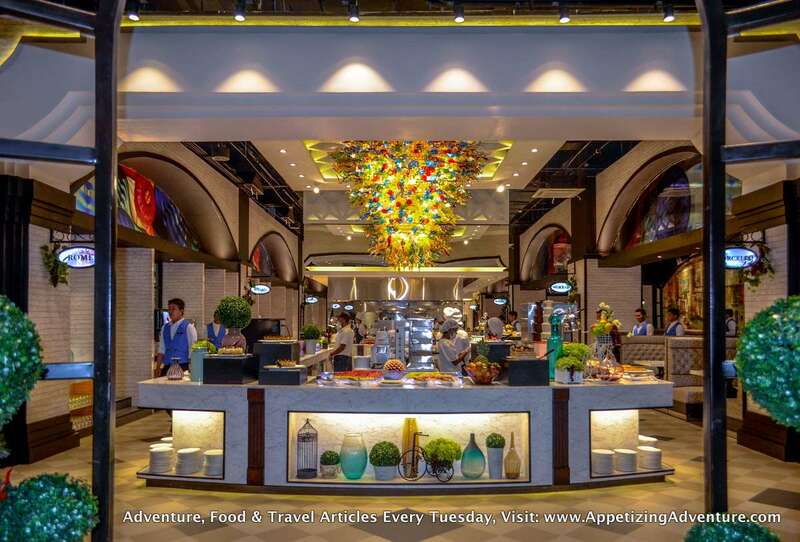 The strong air-conditioning here will cool your food and when the food gets cold, the quality changes. Another tip — visit their Facebook Page often to be updated about their promos and discounts.